Representatives of East Jordan Middle/High School’s class of 2023 present a $550 donation to The Depot. 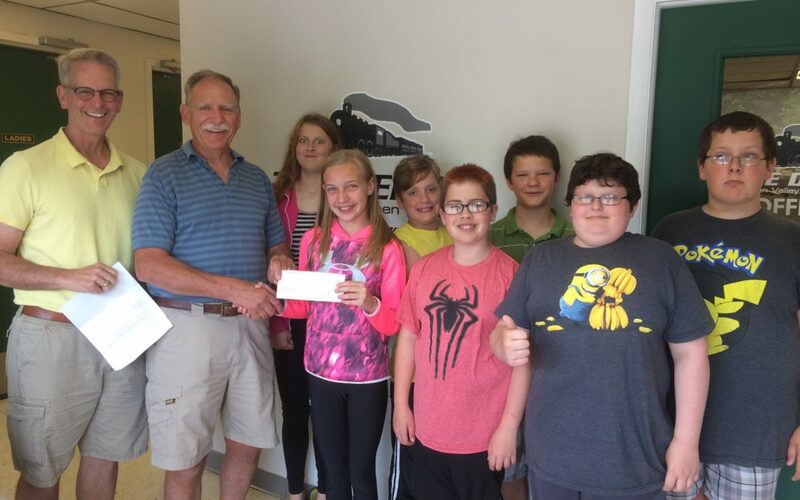 Each year, East Jordan’s sixth-grade class participate in a fundraiser know as Enterprise day, and students voted this year to give a portion of their proceeds to The Depot. Pictured are (from left) Paul Keyser, Peter Elliott, Morgan Ennik, Christine Whitaker, Kaleb Pollington, Lincoln Parker, John Johnston, Richie Clark and Hudson Derenzy.